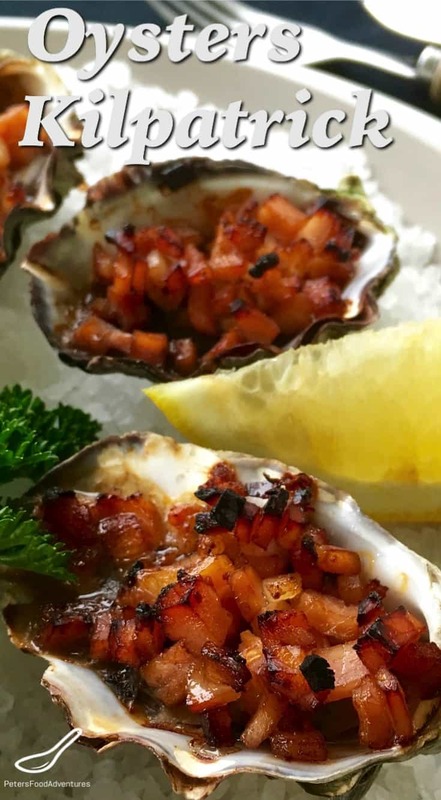 Oysters Kilpatrick is a grilled bacon topped oyster dish served in restaurants all over Australia. It’s an Aussie classic. Perfect for a country so abundant with fresh seafood. I had never had cooked oysters on the half shell before I came to Australia. Maybe it was due to the fact that I grew up hundreds of kilometres from the ocean, and the seafood restaurants seemed to sell only frozen seafood. Nothing beats the fresh seafood in the restaurants in Australia. We are so lucky to be surrounded by water, with plenty of fresh seafood, including oysters. 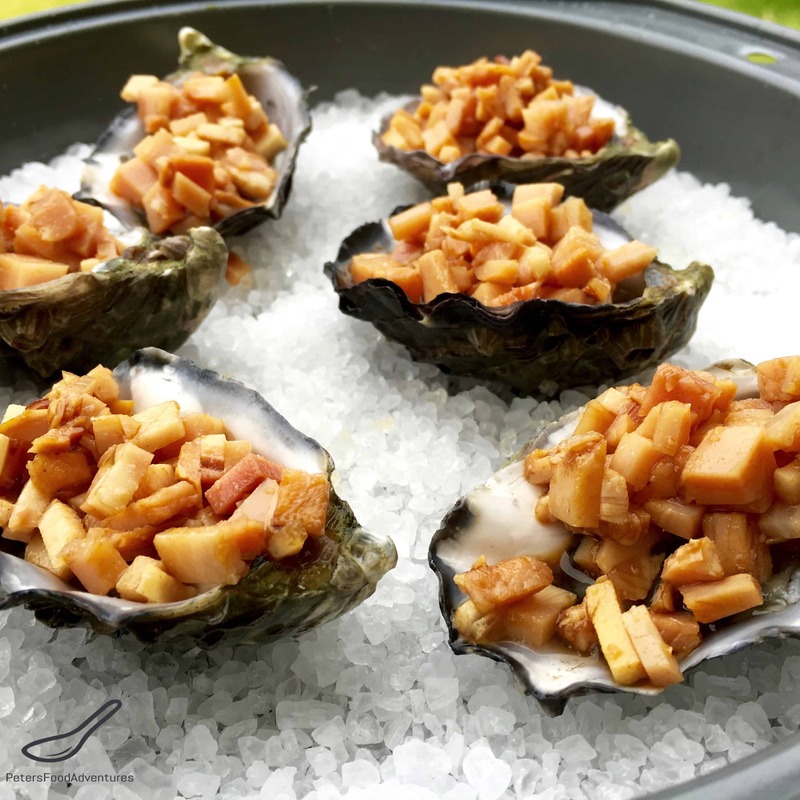 There are many different types of grilled oyster recipes such as; Oysters Kilpatrick, Oysters Rockefeller, Oysters Mornay, Oysters au Gratin… and they are all delicious. There are a few different ways to make this recipe, but I have kept it simple. I learnt how to make this recipe when I worked at a restaurant on the Gold Coast 20 years ago. The chef sometimes added a squirt of tomato sauce (Ketchup) when mixing the Worcestershire Sauce for a bit of extra depth, but that’s optional. You could also add a squirt of Bbq sauce, Tabasco sauce, Sriracha or Sweet Chili Sauce for a spicier twist. Eating Oysters Kilpatrick is how I fell in love with eating oysters, it’s an Aussie classic. If you’ve only had raw oysters, you really must try Oysters Kilpatrick, you won’t want to eat your oysters any other way. Bon Appetit! Приятного аппетита! 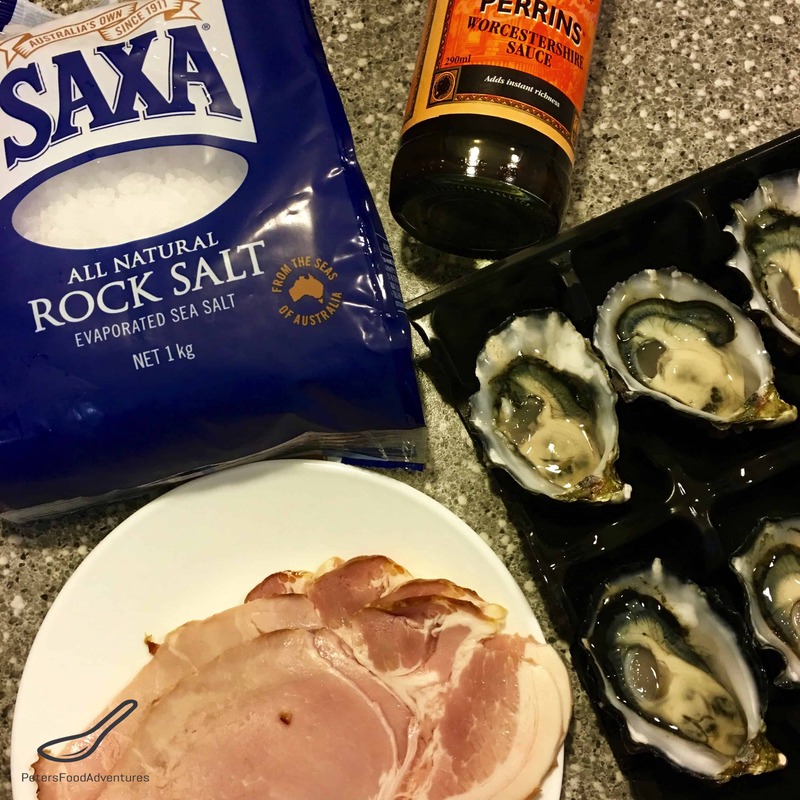 Oysters Kilpatrick are an Australian Classic - so tasty and easy to make. Fresh oysters, Worcestershire sauce and Bacon under a grill. If you haven't eaten Oysters Kilpatrick, you haven't eaten oysters! Preheat grill on high, or set oven to grill. 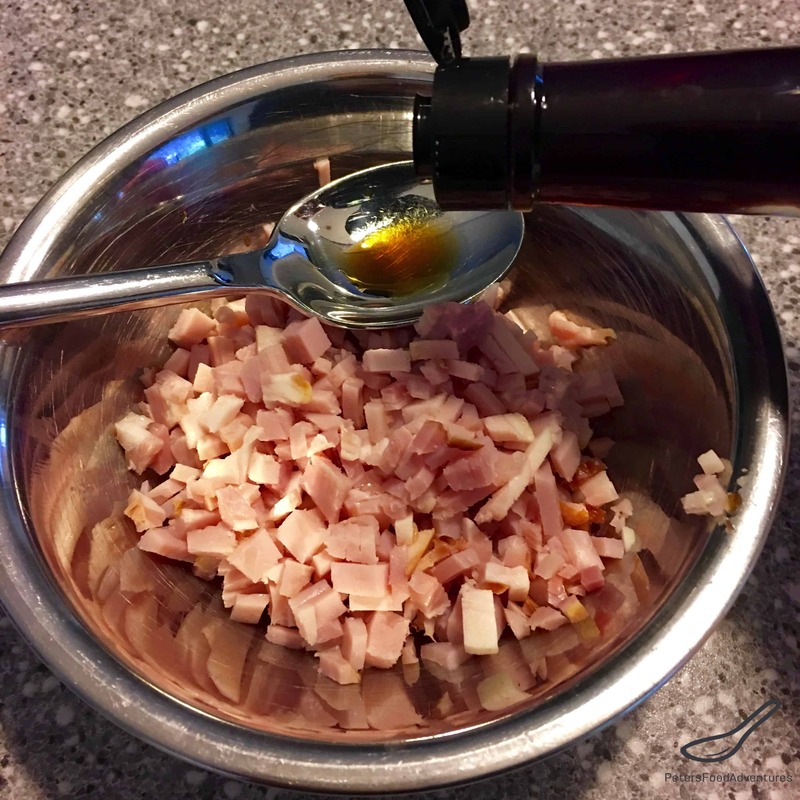 In a small bowl, mix together the strips of bacon and Worcestershire Sauce. Place the rock salt on a baking tray, deep enough for the oysters to keep level while cooking. Position oysters on the rock salt, and spoon the bacon on top of the oysters. Grill the oysters for 5-10 minutes, or until the bacon is cooked and crispy. Serve immediately with a lemon wedge. Oh wow! this sounds awesome. !!!!! I can just imagine those flavours together 🙂 I just have to get oysters now !!!! Thanks Lynne! It’s definitely a winner! ???? Oh my gosh this look delicious!